Elia Virtu offers unusually crafted, beautifully shaped, heavyweight solid handle knives. 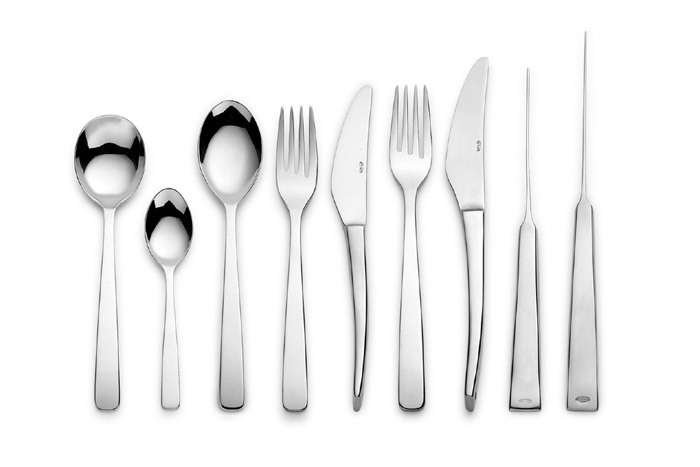 A versatile range for optimum table-setting creativity. Elia Virtu is an innovative design concept offering vertically standing knives which can stand upright on the table or be laid flat in the traditional manner.